In response to serious cuts in public funding in 1992, ten artists contributed silkscreens to benefit the Alternative Museum in New York. The Alternative Museum was originally in the East Village, then relocated to Tribeca, and finally to Soho. The museum’s primary functions were to provide a professional showcase for artists, leadership with an “artist” perspective, and an atmosphere where ideas could be presented and challenged. Being non-profit, the museum’s choice of artistic presentation was not governed by commercial interests. The museum was founded in December, 1975 and closed its doors in April, 2000. Like the museum, the artists represented in this box set of prints address social and humanitarian issues in their imagery, which still resonate in today cultural landscape. 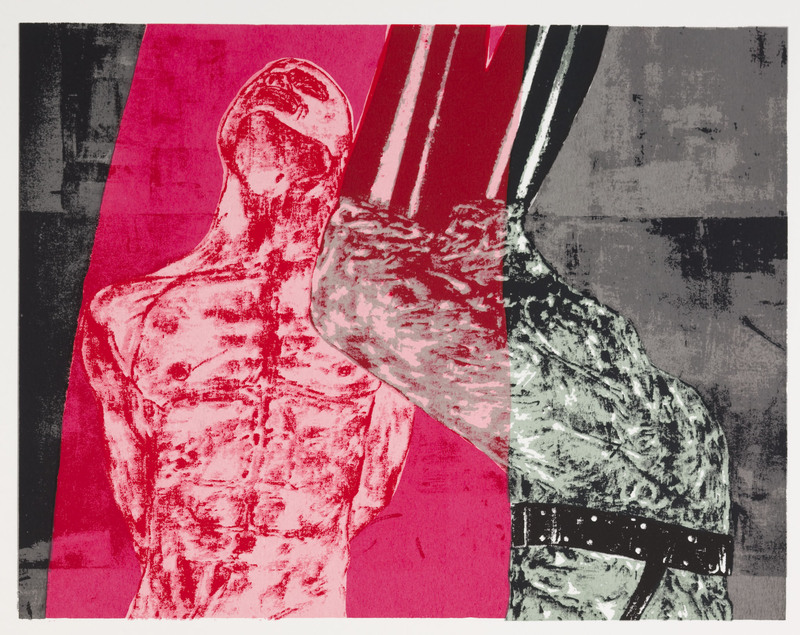 Subjects include Lenin lying in state (Komar & Melamid), police-state abuse (Leon Golub) and Jeffersonian ironies (Luis Jimenez). The “50 STATE INITIATIVE” is a nationwide project to use art as a means of inspiring broad civic participation. The exhibitions represent the diverse voices brought into the host university galleries. The project aims to build a network of artists, arts institutions and civic leaders, and to map and connect cultural and artistic infrastructure in the United States.